Chennai, April 1: Mahendra Singh Dhoni's valiant effort guided Chennai Super Kings to a challenging 175/5 against Rajasthan Royals in an Indian Premier League clash here on Sunday. CSK beat RR by 8 runs | Chennai Super Kings vs Rajasthan Royals Live Cricket Score 12th T20 Match. Despite some early blows, skipper Dhoni's fighting knock off 46 balls helped Chennai reach a fighting total while Suresh Raina nd Dwayne Bravo also chipped in with 36 and 27 runs respectively.MS Dhoni's 75 Help Chennai Super Kings Reach 175/5 vs Rajasthan Royals. 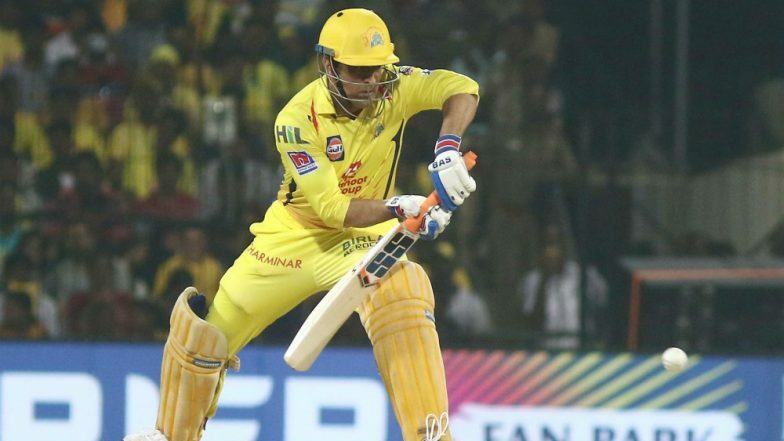 CSK vs RR, IPL 2019: Chennai Super Kings Defeat Rajasthan Royals by 8 Runs, MS Dhoni Rescue The Host. Despite some early jolts, it was Dhoni who his team to a fighting total. For Rajasthan, Jofra Archer was the pick of the bowlers with two wickets while Jaydev Unadkat and Ben Stokes picked up a wicket each.